• What is Hazardous Waste? Hazardous materials and other waste types should not be mixed with General waste. 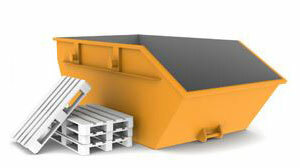 There are a range of waste products that cannot be mixed with general waste in a skip that you hire. Eco Enviro Group provides hassle free advice and skip hire services for both domestic and commercial users. 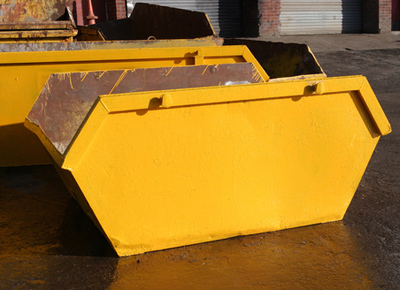 We’re proven to be one of the cheapest skip hire companies in the whole of Greater Manchester, and we constantly ensure that all of the environment agency guidelines are adhered to. Asbestos was used as a building material in the UK from the 1950s to the mid 1980s. It was regularly used in construction for a wide range of purposes, including insulation & fireproofing. Any building, commercial or domestic, that was built before 2000 can contain traces of asbestos. Materials that contain asbestos that are in good condition are safe, however when the material becomes damaged, the asbestos fibres become airborne. This is when asbestos becomes a safety hazard. • Why is Asbestos a Dangerous Material? In the UK, Asbestos fibres are constantly present in the environment. This means that people are exposed to very low levels of asbestos throughout their lives. However, the total number of fibres that are breathed in can improve the risk of an asbestos-related disease developing. Working on or near damaged asbestos-containing materials can also increase your possibility of developing problems. When high levels of asbestos fibres are inhaled they can cause a range of serious diseases, which are responsible for around 4000 deaths a year. • Mesothelioma, which has a very high fatality rate. • Lung Cancer, which can be fatal. • Asbestosis, not always fatal, but can be very debilitating to the individual. It should be noted that these diseases will not affect you immediately, but later on in life. This means it is essential to protect yourself and prevent yourself from contracting an asbestos-related disease later on. • Are there different types of Asbestos? There are three main types of asbestos, which may be found in premises. These are commonly called brown asbestos (amosite), white asbestos (chrysotile), and blue asbestos (crocidolite). All three types of are hazardous. • How to Dispose of Asbestos. Asbestos is officially classified as Hazardous Waste. This means it is essential that it is dealt with safely and responsibly by a licensed contractor. There are many items that classify outside of general waste under WEEE, these include computers, computer monitors, TV’s, hard drives, and domestic white goods. The WEEE Directive officially came into force in July 2007. Most skip more companies won’t accept these items as general waste, but our friendly team here at Eco Enviro can point you in the right direction. • What makes these items hazardous? Computer monitors, TV’s, cameras and other monitoring equipment that is similar contain cathode ray tubes, these are also known as CRT’s. They are picture or vacuum tubes that are used to convert an electronic signal into a visual image. The main reason why they are classified as hazardous is because they have a requirement to remove the phosphorous coating which is on the inside of the screen. Another reason why they are hazardous is because you need to ensure that the large amount of lead that is in the glass does not enter landfills. A typical CRT can contain up to 8lbs of lead, which is a highly toxic substance. Why are fridges and freezers hazardous? A new EC legislation that came into force in 2002 requires that all Ozone-Depleting Substances must be removed and recycled or completely destroyed before the appliances is thrown away. Fridges and freezers require the use of coolants which have been mainly CFC’s (Chlorofluorocarbons). CFC’s damage the ozone layer and have a potential to increase global warming. Here at Eco Enviro Group, we have the ability to recycle a large range of materials. We are currently able to recycle wood, scrap metal, concrete, brick, turf, cardboard, paper and both hard & soft plastics. • What types of lamps need recycling? Fluorescent lamps come in various sizes and different types. They are regularly used in homes, shops and offices and throughout industry. Another popular type are high-intensity discharge lamps. Examples of these are mercury vapour, metal halide and neon and they are commonly used in a variety of commercial applications. • What makes them hazardous? Most discharge lamps contain Mercury, which is a toxic metal. Mercury is a potential environmental hazard after it becomes methylated. This happens when it enters aquatic environments, which can occur if the mercury is found in a landfill site. If mercury is then found in fish and water, it can then enter the food chain and cause a lot of damage. Fluorescent lamps were classed as hazardous waste in July 2004, due to changes in the WAC (Waste Acceptance Criteria). This stopped the disposal of these specific lamps into almost all landfills. Then, in 2007, the WEEE Directive required the mandatory recycling of all such lamps. The Environment Agency put an end to the disposal of plasterboard in landfills with biodegradable wastes due to its sulphate content. Plasterboard now has to be recycled or disposed of in its own cell which is within a landfill. For further information on the terms and conditions of the skip hire we provide, Click Here to view our Permit PDF.